RainSaucer - What is the Rain Tax? What is the Rain Tax? A few months back, there was lots of buzz in the media and on Facebook about Maryland's new "Rain Tax". The tax or as the State called it "stormwater utility fee" was passed in response to a decree by the Environmental Protection Agency (EPA) for the States of Maryland, New York, Pennsylvania, Virginia, West Virginia and the District of Columbia to clean up the Chesapeake Bay by reducing pollution causing stormwater. The EPA decree imposed fines on the States based on the amount of pollution, but left it up to each State as to how to reduce their stormwater (and associated fee). Only Maryland decided to pass the fee on to constituents, thus creating an uproar and a particular sense of unfairness because of how the fee would be charged. The fee will be levied annually based on the amount of “impervious surface” that is on a property. This means any roofing, driveways, or parking lots are subject to the tax. - Many cities already have a "stormwater utility fee". Some examples include Orlando, Minneapolis, and Raleigh. Maryland is simply doing what other cities have done in trying to reduce their impact on the environment and recoup the costs associated with their sewers. 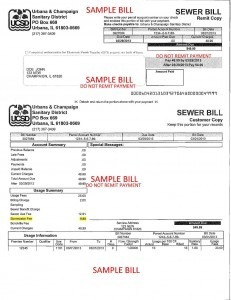 Sewers and the associated fees (EPA or not) need to be paid for somehow. - Since the fee is based on impervious surfaces, it will raise awareness of how stormwater pollutes the environment. This will be ultimately be good for rainwater harvesting. - Residential and Commercial property represents just a fraction of the impervious surface in a given county. The real stormwater polluter is the State and Federal roads. What will the State do about that? Will the Federal Government pay back the State for the pollution caused by the highways? - The tax should have a way for homeowners to reduce it significantly and not just by reducing their impervious surface area. Credit should be given for rain barrels, swales, and rain gardens which also reduce the stormwater (some Counties in Maryland are doing this but not all).